"Searching your own affordable home in Sushma Crescent NXT. Book your Apartments with us at Sushma Crescent nxt Zirakpur on Zirakpur Airport Road, Mohali. 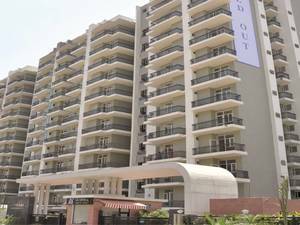 Sushma Crescent NXT: – Sushma Crescent home is promises, a vow, a word of honor… that no matter what I will care for your every need, I will give sunshine to your blues, bedrock to your dreams. It is a bond of love to keep our soul mates safe and sound, a happy place where health and abundance abound. Above all, it is an embrace to keep loved ones warm. We, at Sushma, understand the over-protectiveness that takes the form of a home and that’s why we’ve crafted Crescent with so much care that it feels like it has been built to enchant you at every step, to make your lives lively and above all else, to make sure that your happiness only grows with time.